This workshop is the first session of our 4-Part Natural Building Series. Join us for an introduction to two straw-based natural building techniques! 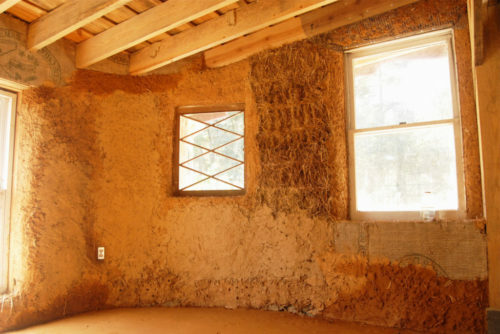 You will learn the basics of installing and plastering straw bale walls (which have a better fire rating than conventional walls!). Additionally, we will learn to mix and install slip-straw, which is a technique that uses loose straw. The weekend will be fully hands-on, supplemented with a slideshow presentation on Saturday evening.